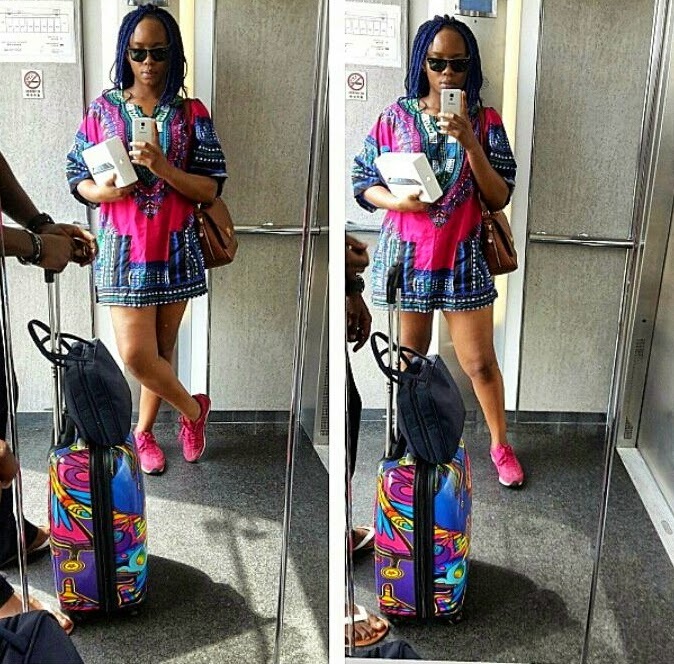 CHECHESMITHNATION : Yemi Alade in Danshiki print, but is She Adding Weight? Yemi Alade in Danshiki print, but is She Adding Weight? Yemi Alade looking all the way African in this casual Danshiki print. Trust me,there is no way she wont find her Johnny in this colourful patterned look and of course i spot the pink sneakers....rock on girl!! @Lora, Its actually rude to call someone 'fat'. 'Big' is better. Also so what if she is getting big.